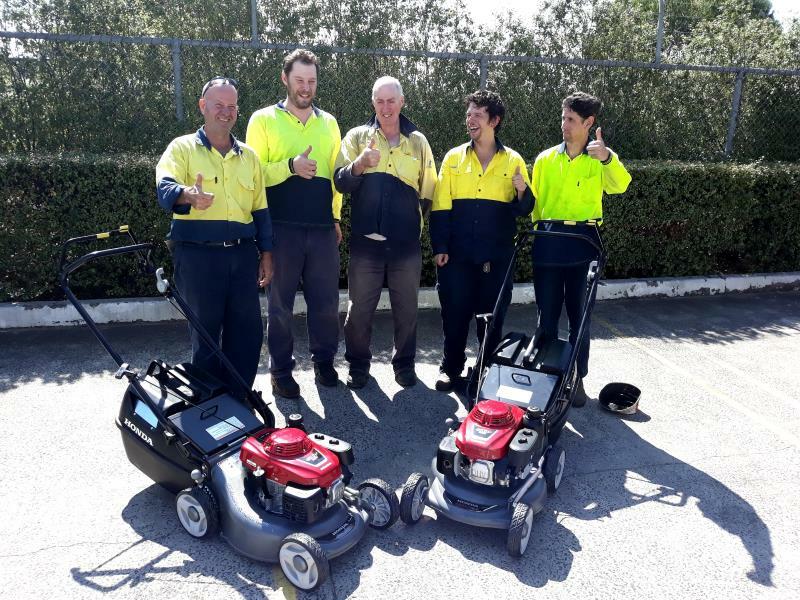 The Rotary Club of Rosanna presented two Brand New Honda motor mowers to Bedford HiCity - Heidelberg Branch today. 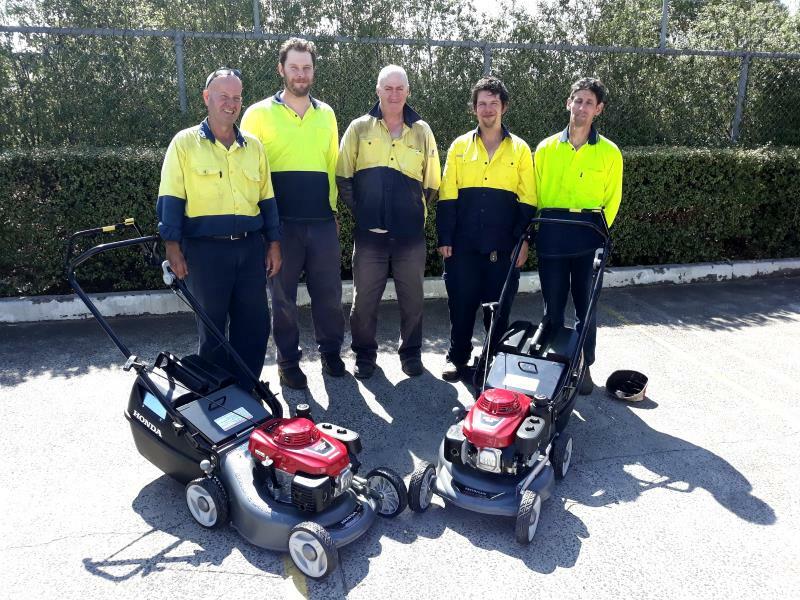 Bedford HiCity workers are contracted out to businesses, like Melbourne Airport, Polytechnics Heidelberg and numerous schools around the area. These new motor motors will make their job easier and hopefully they will be able to take on more jobs. 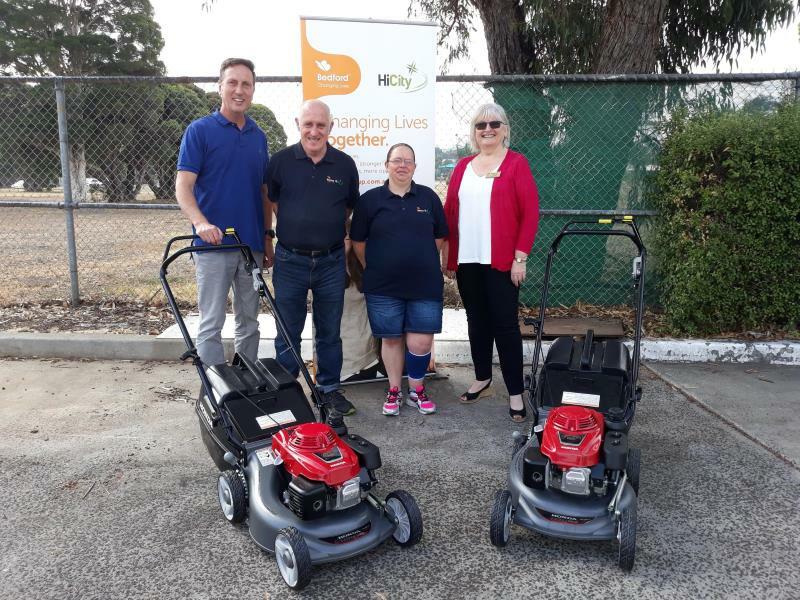 The club was represented by Glenda Coswello (Community Director) who presented the mowers to Adriano Pilati, Lynne Carland (not pictured) and two workers from the branch. Other members who actually do the gardening work were not present at the presentation, however they were happy to see them on their return (as pictured).